In a recent opinion, the California Supreme Court departed from decades of precedent by allowing a manufacturer to use evidence of compliance with industry standards as a defense in a strict products liability lawsuit. Continue reading to learn about the Court’s revised approach to products liability cases, and contact a knowledgeable Southern California products liability lawyer if you’ve been hurt by a defective product in the Antelope Valley. In Kim v. Toyota Motor Corp., the plaintiff was injured after losing control of his Toyota Tundra pickup truck. He brought a strict products liability lawsuit against Toyota. 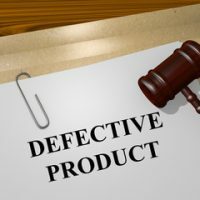 In a strict products liability lawsuit, if a plaintiff proves that a product was defectively unsafe and that defect caused the plaintiff’s injury, then the manufacturer is liable. The plaintiff in Kim claimed the pickup truck was defective because it did not have a safety feature known as vehicle stability control (VSC). He argued VSC would have prevented the accident. Toyota countered that the lack of VSC did not render the truck defective and introduced evidence that no other pickup truck at the time included VSC as standard equipment. A jury found for Toyota, and the plaintiff appealed arguing, among other things, that the evidence of how other trucks were manufactured was inadmissible. In California, in evaluating whether a product was safely designed, a jury is asked whether a product is “not as safe as it should be,” given the feasibility of alternative designs in a risk-benefit analysis. A long line of cases in California had held that evidence of industry custom was inadmissible to the risk-benefit analysis, because a practice may be unsafe across the board regardless of whether other manufacturers do it. The view was that a jury would be unduly swayed by a claim that “no one does it” or “everyone does it,” and would ignore evidence of underlying safety. The court of appeals in Kim followed a recent appellate case that allowed evidence of industry custom for some purposes. The California Supreme Court affirmed. The Court confirmed that a manufacturer still may not introduce evidence that they complied with industry standards in order to show they acted reasonably in adopting a challenged design. Strict liability is about the product, not the manufacturer’s conduct. A product may have the same features as other products on the market and still be defective, and the analysis should focus only on whether the product was defective as designed. However, evidence of industry custom may be useful to determine whether the product was defective. Such evidence may help a jury evaluate whether a product was in fact as safely designed as it should have been, given the feasibility and effectiveness of alternative designs. If you have been hurt by a defective car or other product in the Antelope Valley, talk to a knowledgeable and effective personal injury attorney about pursuing a claim for damages by calling the Kistler Law Firm in Palmdale at 661-206-6990.